It’s a bright, cold morning just after the first real snow of the season. The chill gives your hunger an edge, but you have a plan: sit on the trash can and wait for the squirrels to come to you. As a scientist, I can’t exactly claim to to be underserved by the webcomic community. 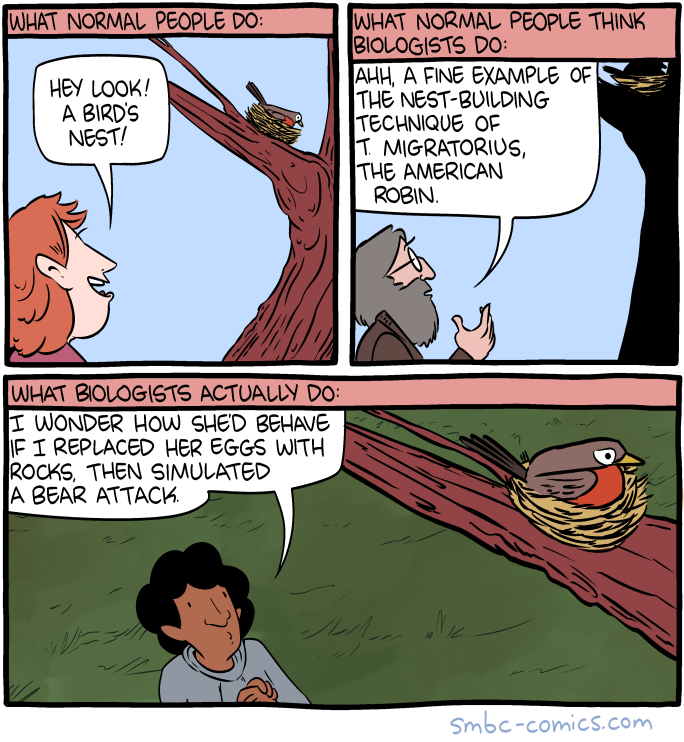 xkcd does nerdy jokes, including ones about biologists and birds; Hark A Vagrant occasionally covers historical scientists like Rosalind Franklin and Charles Darwin (twice); and Saturday Morning Breakfast Cereal often delves into evolutionary biology, with takes ridiculous, entertaining, and sometimes a bit too real. Thank you, Saturday Morning Breakfast Cereal, for filling this hole in my life. I’ve previously discussed how scientists are interested in pigeons’ ability to perceive art. A New York City artist has taken this to its logical conclusion and created an art installation for pigeons. The higgledy piggledy poems return… (The first higgledy piggledy post is here.) Once again I have not quite followed all the rules. Caecilians are a kind of amphibian. 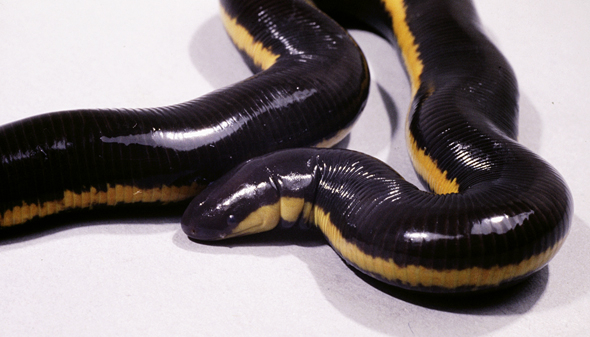 Some caecilians feed their babies by growing a special layer of skin that the babies then eat. (Hey, is it really any weirder than what we mammals do to feed our babies?) All caecilians have little tentacles on their faces. See, goofy poetry is so educational! While it seems like it might be logical for people to find my blog after searching something like “pictures of juncos” or “how do birds fly?”, internet users (and search engines) are thinking a bit more creatively. So once again I, your humble servant, will attempt to give you what you really want from this blog by responding to the actual search terms that have led you here. This time, though, you guys are kinda scaring me. Cute, yes, but crucially NOT A HUMAN BABY. If these are a problem, put up some strong netting around your house, work area, etc. to catch the floating skeletons. Grab a ladder and pull the bones out of the net at least once a week so it doesn’t get clogged up. Photos in recent posts are showing up fuzzy on some platforms. Apologies for this! In older posts, you can click on photos to see them bigger. 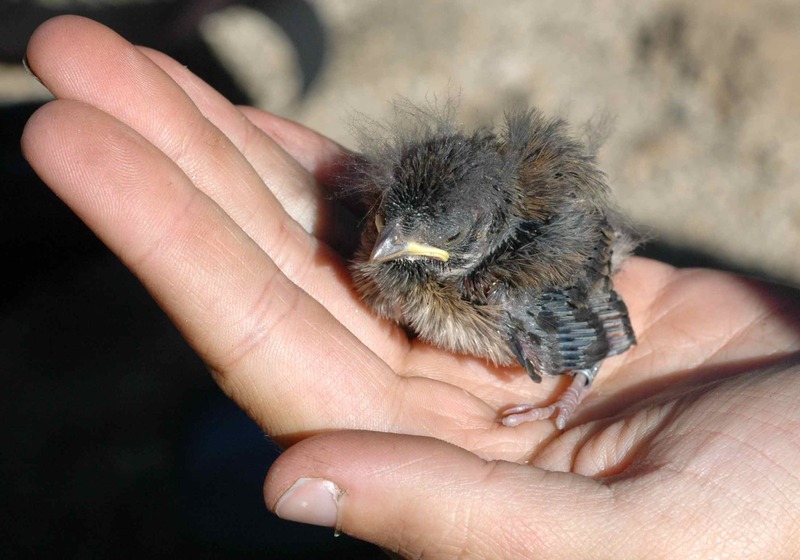 Can tuco-tucos survive a volcanic eruption? North Carolina bycatch, part 2: a new junco! You may see ads on this blog. These are placed by Wordpress to cover the cost of this (free) blog. I do not get any money from these ads, and I do not get to choose which ads you see. I wish there weren't ads too!